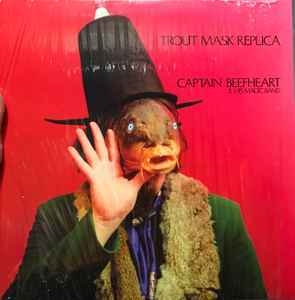 Published By – Beefheart Music Co. In full partnership with the Zappa Family Trust and to celebrate the relaunch of the seminal Bizarre label imprint, Third Man Records reissues this record on 180g vinyl -- the first black vinyl reissue in 10+ years. Released on Record Store Day 2019. Matrix / Runout (Side A): FV2-2013-3-A "ZAPPA.COM"
Matrix / Runout (Side B): FV2-2013-3-B-RE "ZAPPA.COM"
Matrix / Runout (Side C): FV2-2013-3-C "ZAPPA.COM"
Matrix / Runout (Side D): FV2-2013-3-D "ZAPPA.COM"
Yeah, this is definitely worth your money. This pressing is dead silent and gives everything on this crazy album a perfect stage to be appreciated. Hey does anyone know how many of these were made? Super happy with this, lovely quality vinyl and packaging. I've been waiting a long time to get my hands on this at a reasonable price and was very pleased to hear about this pressing. Sounds great, looks great. The gatefold sleeves are a bit tight to get the inners in and out of, but this is an issue with a lot of my gatefolds. Would recommend without hesitation. How can you tell the difference between the two 2019 RSD pressings with a sealed copy? Was nervous before I opened up mine that it would have these runouts. But Im thinking this is just the same as the other RSD release but he forgot to add the rest of the runouts.